My husband and I got to see The Hobbit: The Battle of Five Armies over the weekend, and it made me cry, laugh, gasp, and cheer. 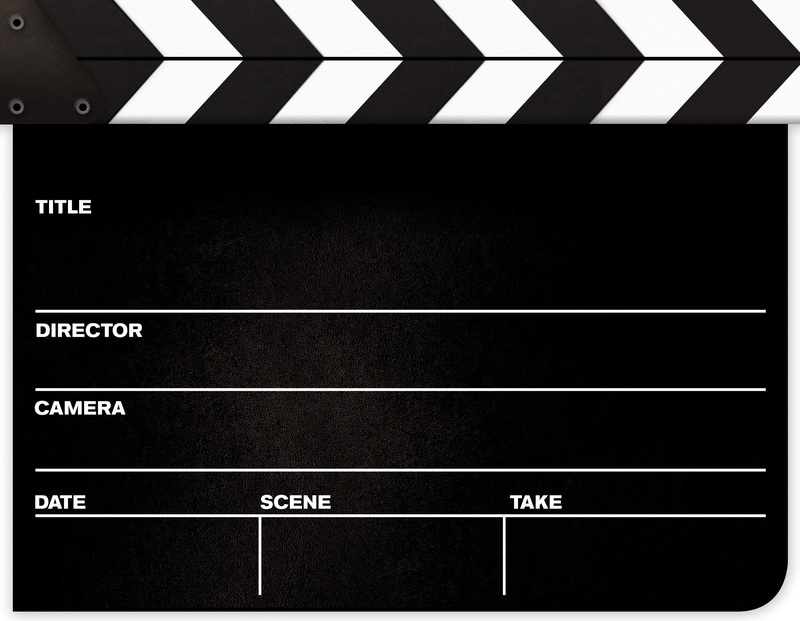 As usual, I’m not going to do a synopsis of the movie or go into a general review. I’m not even going to compare it to Tolkien’s masterpiece, as I still don’t approve of some “changes” Peter Jackson made… *cough* Legolas *cough*. Speaking of Legolas, I can actually say I appreciated his personality more in the Lord of the Rings movie trilogy after having to deal with his arrogant, pointy-eared rebellious prince throughout The Hobbit trilogy. Knowing his moves in LOTR, I wasn’t surprised that he was more nimble and feather-footed in all the action sequences of Five Armies. 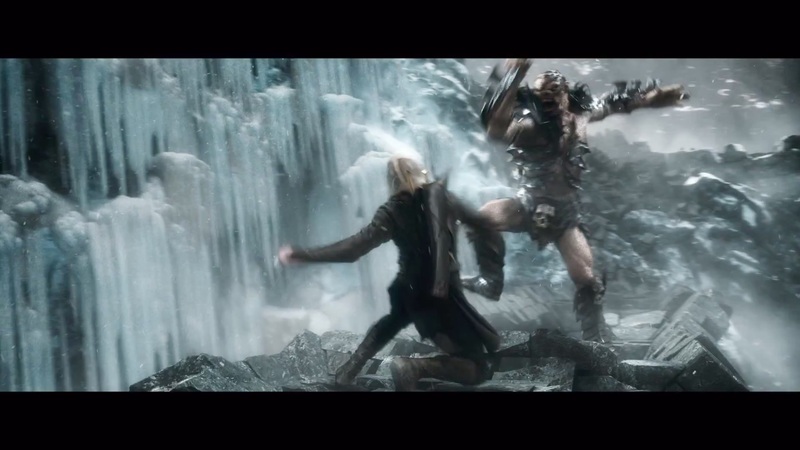 He made my toes clench a few times during his battle with Bolg on the makeshift bridge. 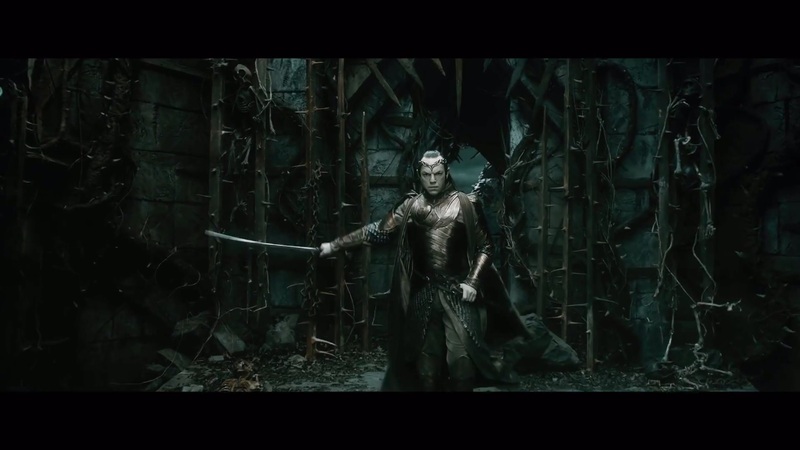 I thoroughly appreciated that Legolas had not just his bow and arrows but also three blades to use during his battles. I never really liked Legolas, and Orlando Bloom sort of sealed the deal of me disliking him when he took on the role, but after his final battle (bridge scene), my image of Orlando Bloom (and Legolas) may have shifted… slightly to the positive. 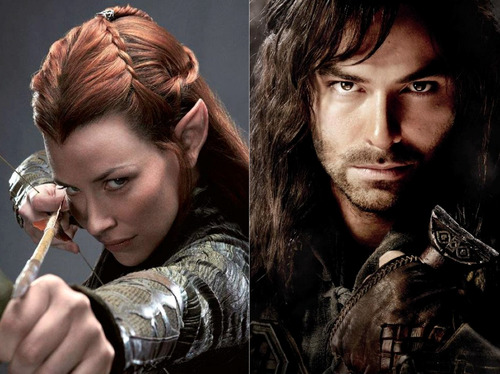 Regarding the Kili and Tauriel wishful thinking love affair: I was in shambles when Bolg destroyed Kili, but let me rewind the clock a bit to when the pair parted ways after the destruction of Lake Town. 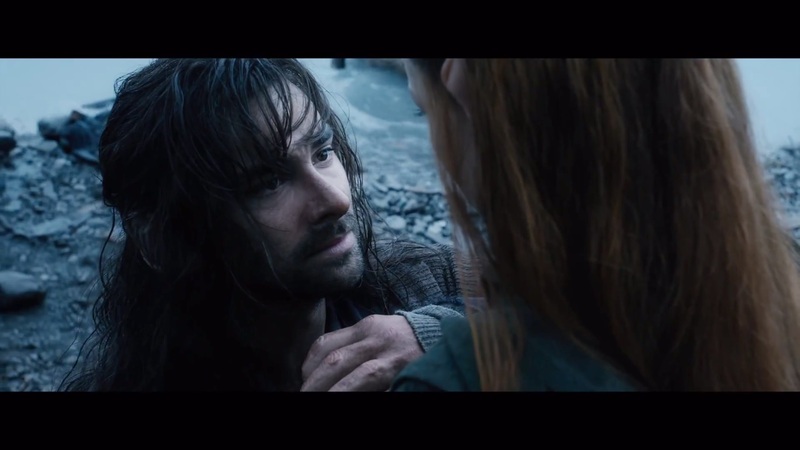 While she saved his life from near death in Desolation of Smaug, I honestly believe that he saved her heart from nearly turning into a cold stone in Five Armies, especially in the parting scene. Thinking about kings, Elrond (Hugo Weaving) made an appearance, along with Saruman (Christopher Lee) and Galadriel (Cate Blanchett), to rescue Gandalf from the Necromancer – voiced by Benedict Cumberbatch. Elrond’s entrance was so chilling, and I was on the edge of my seat in anticipation of “the battle of the ancients”, as I like to refer to Elrond, Galadriel, and Saruman. [Side note: I consider Gandalf part of the “ancients”, but since he was the one needing rescuing in this scene, I’m not even going to go there.] I’ve always admired Elrond, and when I heard him say, “You should have just stayed dead.” I knew we were in for an epic fight scene. I did appreciate how the battle set up the whole Saruman turning to the “dark side” and how the scene sort of exposed Gandalf and Galadriel’s favoritism relationship. I also applaud how this battle revealed just how awesome Galadriel is. I was sort of upset about how she was portrayed in LOTR, as I knew she was a very powerful being, and this battle definitely made up for what LOTR did not explain. You could also say that she’s the reason why Sauron sort of imploded into what he was in LOTR because she blasted him to the East. Last bit: Have you ever played the “trust game”? Bard (Luke Evans) and his son, Bain (John Bell), played an extreme version of it in the first ten minutes of the movie, and I felt awe and pity for the boy. I don’t think I could actually use my child the way Bard did. I applaud the kid for trusting dear old dad, especially with the whole “a little to the left” comment. *poop in pants* *nervous laugh* Such a chilling scene. Total respect for Bain for remembering where the black arrow was and for ditching his sisters with a crew of dwarves (and an elf) to help his dad fight a dragon. Not a lot of kids can actually say they helped kill a dragon. This entry was posted in Miscellaneous and tagged Aidan Turner, bain, bard, battle of five armies, Cate Blanchett, Elle, elrond, Evangeline Lilly, galadriel, hobbit, Hugo Weaving, kili, legolas, look back, Luke Evans, movie, Orlando Bloom, review, scenes, tauriel, trilogy. Bookmark the permalink.